It’s highly essential for your new Kia vehicle or used car to get regularly scheduled maintenance. At Gerald Kia of Naperville, we want your sedan or SUV to hold its value for years down the road. We understand it can be difficult finding a trustworthy place to bring in your vehicle for repairs, but we have trained technicians who genuinely know your car from the inside out. Do you need an oil change for your Kia Forte? Our service center can get the job done quickly and efficiently! What about a tire rotation for your Kia Sportage or Kia Optima? Bring your SUV or sedan in as soon as possible. Do you need to order parts, but not sure where you should start? If so, our specialists are here to help you every step of the way. 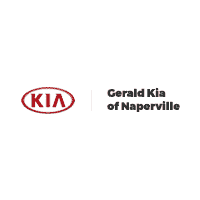 Here at Gerald Kia of Naperville, we know you will have an excellent experience like no other. Now is the perfect time to bring your car down to the service center at Gerald Kia of Naperville for a battery replacement, brake repair, engine light diagnosis, or anything else. If you want to set up your service appointment today, you can do so by filling out our easy-to-use online form. If you would like to call to set up your appointment, you can reach our professionals by calling 888-409-0125. We look forward to hearing from you soon!